The 8th annual Chrysalis Butterfly Ball will take place this Saturday, June 6. 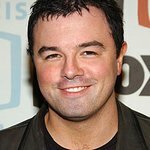 Hosted by Seth MacFarlane, the creator of Family Guy, the event will feature appearances by Adrian Grenier, Kevin Dillon and Annette Bening. Also expected to attend are Amanda Bynes, AnnaLynne McCord, Courtney Love, Kevin Connolly, Nick Lachey, Ron Howard, Warren Beatty and many more. Chrysalis is a charity dedicated to helping economically disadvantaged and homeless individuals become self-sufficient through employment opportunities. It currently helps more than 2,000 individuals a year change their lives through jobs.